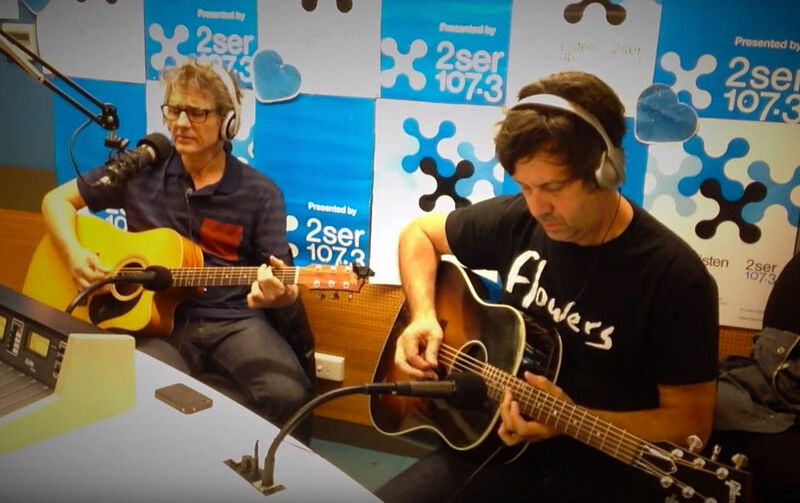 Sweet video of Dean and Sean playing a radio session for Sideways Through Sound in Sydney, Australia last month. They perform three songs on acoustic guitars: Bewitched, Tracy I Love You and Moon Palace - and nice to see Sean rocking the Flowers T-shirt! MP3: You can download the whole show here with an interview as well as the three songs.